When the 78th session of the Texas Legislature came to an end on June 2, 2003, it was discovered that one of the bills that passed has an adverse effect on the pari-mutuel industry. 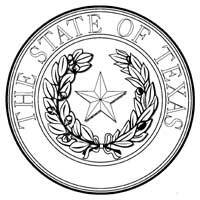 The appropriations bill, which governs how the state spends its money, was changed to place a cap on the amount of money that can be paid out in the form of Accredited Texas Bred (ATB) awards. The effect on the horse industry will be a reduction in ATB money of approximately 11% according to sources at the Texas Racing Commission. The cap will be about $10.8 million for the biennium, or $5.4 million per year. Based on actual numbers for this year, the fund is expected to generate about $6.1 million, which under the new law will result in a loss of over $700,000. Any excess money generated will now go to the state’s general revenue fund. This reduction comes at time when the Texas breeding program is already suffering setbacks due to increases in Louisiana’s incentive program and rising purse structures. Competition from states like Louisiana and New Mexico, which both have video lottery revenue enhancing the purse accounts, is already causing some horsemen to move their operations over the border. The Texas breed registries, which are responsible for the Accredited Bred Program and oversee its operation, were surprised by this action and are still accessing the overall effects of this legislation along with weighing their options. The Texas Horsemen’s Partnership is still vigorously pursuing opportunities to pass legislation that will allow Texas tracks to install and operate video lottery terminals. It looks like the best chance might be in a special session that could be called to deal with school finance reform. This special session, if called by the Governor, is expected to occur in the fall. The THP, along with the Texas Racing Agri-industry Council (TRAC), will be ready if an opportunity is presented.